The bad news simply will not stop for Alabama. Running back Tyren Jones, already suspended by head coach Nick Saban, has been arrested for possession of marijuana according to al.com. “A Tuscaloosa police report states Jones was in a car stopped on 10th Avenue with the smell of marijuana. Officers found digital scales in the Dodge Challenger belonging to Brandon Lee Hansberry, who was also arrested. A small amount of marijuana was found in the pants pocket of Jones. After redshirting in 2013, Jones played in 11 games during the 2014 season. He had 224 yards and 2 touchdowns during the season while finishing as the fourth best rusher. 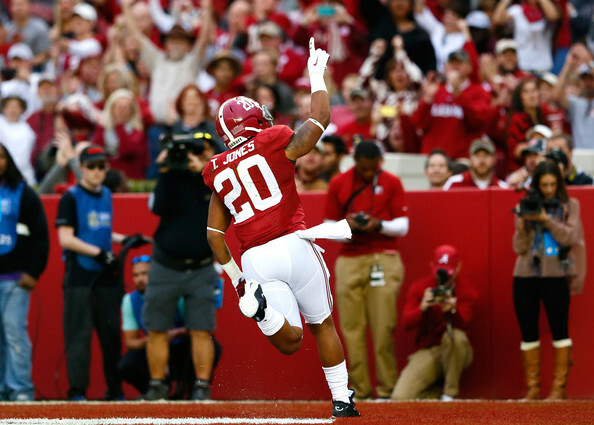 This weekend was a particularly bad one for Alabama players and arrests. It started early Saturday morning with the arrest of Geno Smith for DUI. It got worse on Sunday when defensive tackle Jonathan Taylor, already a risky signee of Saban’s, was arrested for domestic assault and then kicked off the team. Nick Saban’s nightmare is only getting worse right now. Update 9:04 PM EST – Jones has been dismissed from the football team by Nick Saban. “He was dismissed from the team when he refused to follow the parameters given to him for reinstatement,” Saban said. Utah State head coach Matt Wells announced on Tuesday that quarterback Darell Garretson will transfer out of the program. “We thank Darell for his contributions to Utah State football the past two years and wish him the best in the future,” said Wells. 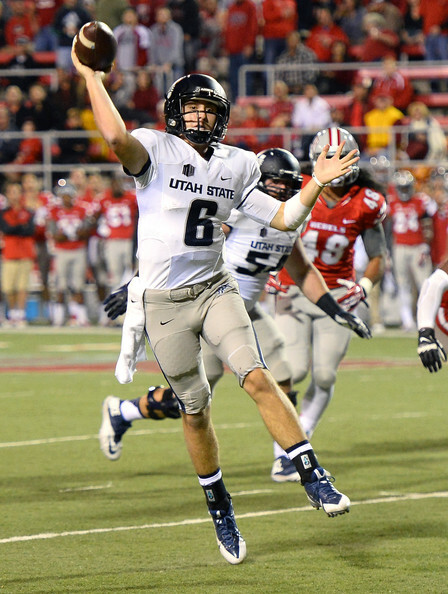 Garretson was the leading passer for Utah State in 2014. He went 91 of 135 (67.4%) with 1,140 yards, 8 touchdowns, and 3 interceptions. He also had 2 rushing touchdowns. He did that in 5 games, but a wrist injury caused him to miss the rest of the year. In 2013 as a freshman, Garretson played in 8 games going 126 of 209 (60.3%) for 1,446 yards, 10 touchdowns, and 7 interceptions. Once again, he led the team at quarterback when he started the last 7 games after Chuckie Keeton hurt his knee against BYU. Keeton suffered another knee injury in 2014 against Wake Forest on September 13 and was given another year of eligibility. Keeton is electrifying at quarterback when he is healthy and his presence may have factored into Garretson deciding to leave. Keeton’s beset year was in 2013 as a sophomore when he started all 13 games for the Aggies. He went 275 of 407 (67.6%) for 3,373 yards with 27 touchdowns and 9 interceptions. He also had 619 yards rushing and 8 touchdowns on 129 carries. Ohio State wide receiver Michael Thomas will have surgery on his sports hernia injury. He will miss the next three to six weeks, but will be ready before the start of the 2015 season. Thomas led the Buckeyes in catches last season with 54. He had 799 yards and 9 touchdowns. He was trumped in yardage only by the outstanding Devin Smith who is now hoping to be drafted in the NFL. Smith 33 catches for 931 yards and 12 touchdowns while averaging a stellar 28.2 yards per catch. Thomas redshirted in 2013, but did play as a freshman in 2012. He played in 11 games, catching 3 passes for 22 yards. Ohio State also returns Jalin Marshall who was second on the team with 38 catches for 499 yards and 6 touchdowns. Thomas’ absence will give receivers Johnnie Dixon, Noah Brown, Terry McLaurin, Parris Campbell, and James Clark reps to help gain more experience. Ohio State’s spring practice ends on Saturday, April 18. UCLA wide receiver Devin Lucien will transfer from UCLA to another school as confirmed by head coach Jim Mora. The Los Angeles Times originally reported the news about Lucien’s transfer. Lucien was the third leading receiver in 2014 with 29 catches for 225 yards and 2 touchdowns. He played in 13 games, starting five of those contests. He did not play in 2011, but played in 19 games and started three of those in 2012 and 2013. Combined, he had 20 catches for 406 yards and 2 touchdowns. Lucien will be a graduate transfer making him free to transfer to another FBS program without sitting for a year. UCLA wasted little time in taking his personal information down from his online bio. Even without Lucien, the Bruins return seven of their top eight receivers (with Lucien being the missing returnee). Jordan Payton (67 catches for 954 yards and 7 touchdowns), Devin Fuller (59 catches for 447 yards and a touchdown), and Thomas Duarte (28 catches for 540 yards and 4 touchdowns) all return. Also returning are Paul Perkins, Eldridge Massington, Mossi Johnson, and Nate Iese. UCLA began spring practice on Tuesday. 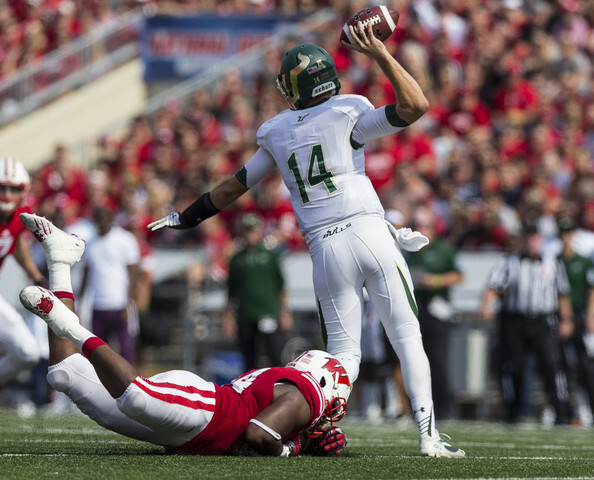 The quarterback competition battle at South Florida lost a contender with the announcement that Mike White will transfer. Head coach Willie Taggart confirmed the news in a statement. White was the starter in 2014 with 10 starts in 11 games played. He finished the season going 122 of 242 (50.4%) for 1,639 yards with 8 touchdowns and 7 interceptions. He started 5 games in 2013 while finishing the season with 1,083 yards, 3 touchdowns, and 9 interceptions on 93 of 175 passing (53.1%). White will have to sit out 2015 if he transfer to another FBS school. He would be eligible to play immediately if he transferred to an FCS school. White’s departure leaves Steven Bench and Quinton Flowers as the only quarterbacks with starting experience. Bench began his career at Penn State in 2012 where he played in two games going 2 of 8 for 12 yards. He was eligible to transfer without sitting out a year due to the NCAA sanctions that rocked the Nittany Lions. In 2013, he played in 7 games and started 2 contests. He finished 26 of 64 (40.6%) for 392 yards with 2 touchdowns and 3 interceptions. Last year he played in 6 games, starting against Houston, going 49 of 100 (49%) for 611 yards with 3 touchdowns and 2 interceptions. Flowers, a sophomore, played in 5 games and started against SMU. For the year he went 8 of 20 (40%) for 111 yards with no touchdowns and 2 picks. He also rushed 13 times for 73 yards. Three other quarterbacks are on the roster, but are considered to have an outside chance of seeing significant playing time. They are senior Austin Parker, sophomore Adam Robles, and redshirt sophomore Evan Wilson. 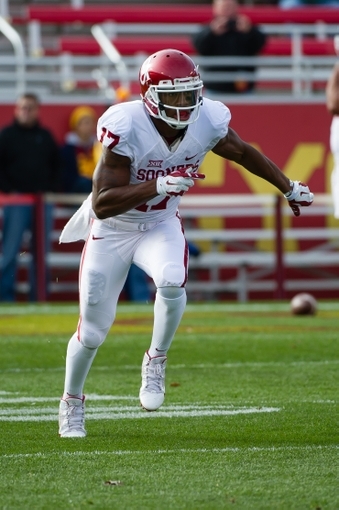 Oklahoma wide receiver Jordan Smallwood injured his ACL in practice according to head coach Bob Stoops. Oklahoma’s Twitter account broke the news on Monday. Tulsa World is reporting that it is a torn ACL and Smallwood will have surgery to repair the ACL. The injury will likely cost Smallwood to miss the first week or two of the season. Oklahoma opens the season September 5 at home against Akron before a road trip on September 12 to face the Tennessee Volunteers. The Sooners then play Tulsa on September 19 before a two week break prior to Big 12 conference play starting up. Smallwood will be a redshirt sophomore in 2015. He redshirted in 2013 after suffering a broken foot before playing in all 13 games in 2014. He had 3 catches for 21 yards. He had one reception against Louisiana Tech, Tulsa, and Oklahoma State. He also recorded a special teams tackle against Tennessee. Oklahoma’s top four receivers, Sterling Shepard, Durron Neal, Michiah Quick, and KJ Young, all return for Oklahoma in 2015. Shepard led the team with 51 catches for 970 yards and 5 touchdowns, Neal had 42 catches for 513 yards and 3 touchdowns, Quick caught 25 passes for 237 yards and a score, and Young finished with 19 catches for 225 yards and a touchdown. Despite the top receivers returning, he had a chance to get more playing time. Blinn College transfer Dede Westbrook could also get some playing time at the wide receiver position. Both the Washington Huskies and Fresno State Bulldogs announced on Monday that the two teams would meet in 2017. The game will take place on September 16, 2017 at Husky Stadium in Seattle, Washington. The Huskies and Bulldogs have met three times previously in 1979, 2004, and 2006. Washington won 49-14 in 1979, the Bulldogs won 35-16 in 2004, and the Huskies won 21-20 in 2006. Like the game in 2017, those three meetings were in Seattle. 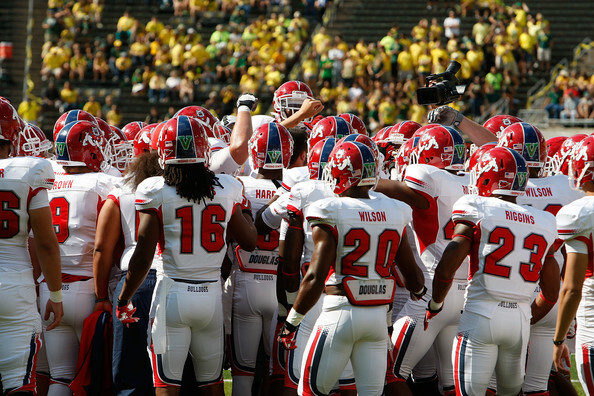 The matchup between Washington and Fresno State will only be a single-game series. Wake Forest Director of Athletics Ron Wellman released a column at Wake Forest’s website detailing the football program’s future opponents. In total, 13 opponents were announced between 2016 and 2027. The opponents will be a six-game series with Army, a home-and-home series with Vanderbilt, home games against Air Force and Northern Illinois, and three FCS teams. 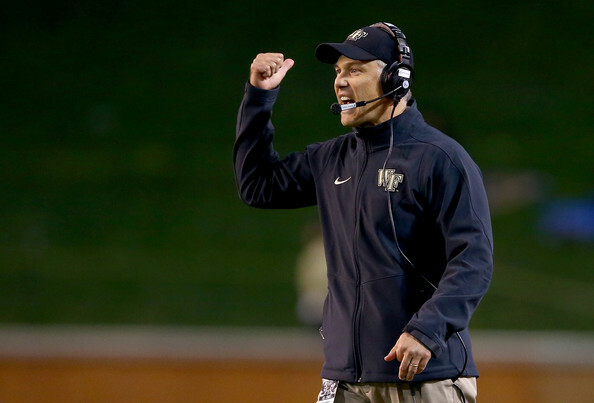 Wake Forest will play home games against Army in 2016, 2022, and 2025. Army will be the home team in 2021, 2024, and 2026. The Vanderbilt home-and-home series will take place in 2022 and 2023. Vanderbilt will be at home in 2022 while Wake Forest will get the return leg in 2023. Air Force will visit Wake Forest in 2022 and Northern Illinois will do the same in 2021. The three FCS teams scheduled are Presbyterian in 2017, Liberty in 2018, and Elon in 2019. Below are the tentative opponents from 2016 through the 2027 season. Note that not every year has been completely scheduled. 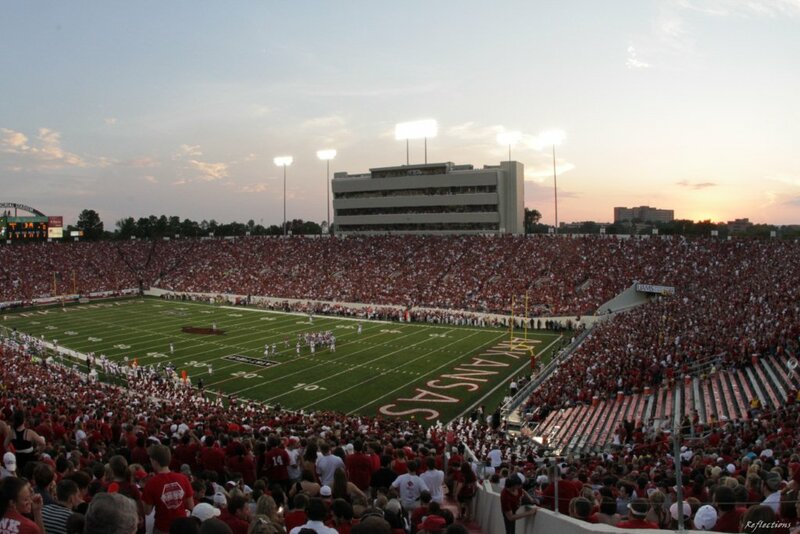 Sources have told ESPN that Little Rock, Arkansas is interested in applying for a bowl game in 2015 and Tucson, Arizona will apply for a bowl game in 2015. The NCAA’s bowl certification deadline for new bowl games is Wednesday. The NCAA typically approves the bowl games several weeks later after reviewing the applications. The Tucson bowl has the working name of the “Arizona Bowl” and will be played at the University of Arizona. The sources say the Mountain West and Conference USA will be featured this season if the application is successful with Fox Sports or CBS Sports Network as the likely broadcasters. Tucson used to host the Copper Bowl from 1989 through 1996 when the name of the game changed to the Insight.com Bowl. It kept that name from 1997 through 2001 while the game was switched from Tucson to Phoenix between 2000 and 2005. Between 2002 and 2011, it was called the Insight Bowl and was moved to Tempe, Arizona in 2006. Buffalo Wild Wings had the sponsorship title in 2012 and 2013 (called the Buffalo Wild Wings Bowl in that time) while TicketCity is the current sponsor of the game since 2014. As for the Little Rock bowl game, that will be played at War Memorial Stadium. The Little Rock bowl game would have teams from the American Athletic Conference and Sun Belt Conference square off. CBS Sports Network or NBC Sports Network would broadcast the game. If these two bowl games were to be approved, that would bring the total bowl games up to 42 including the College Football Playoff Championship Game. There could be even more bowl games in the future as well. According to reports, the Pac-12 Conference is considering applying for a bowl game in Melbourne, Australia for the 2016 season. If the Tucson, Little Rock, and Melbourne games were all approved, that would mean 84 of the 127 FBS (66%) teams would need to become bowl eligible to fulfill all the bowl games. There are even reports of bowl games possibly being played in Los Angeles, Dubai (UAE), Ireland, and Toronto. As of this writing, only the Cure Bowl will be making its debut in 2015 from Orlando, Florida. That could, and probably will, change in the next month or so. 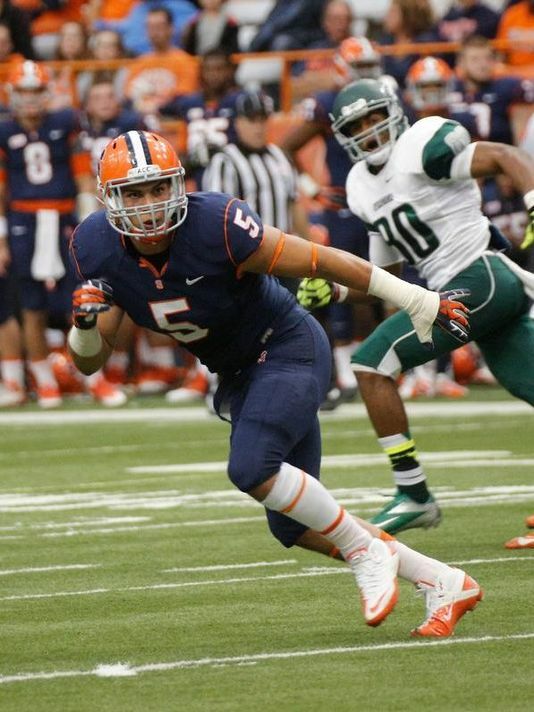 Syracuse linebacker Luke Arciniega has been granted two extra years of eligibility by the NCAA, according to the Syracuse Post-Standard. Arciniega posted on his Instragram account the news of receiving two years. 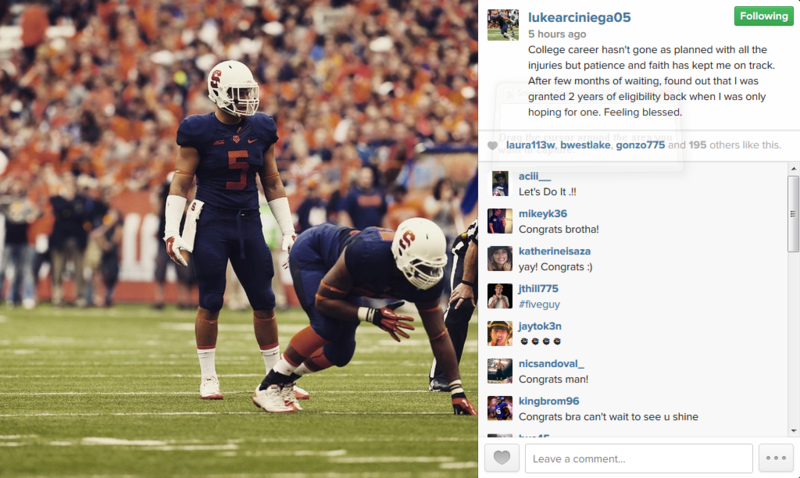 In the post, he said he was “only hoping for one.” He will now spend 2015 and 2016 with the Syracuse Orange. Arciniega began his career at Nevada in 2009 and spent three semesters at the school before deciding to leave due to concussion concerns with the Wolfpack. The Syracuse Post-Stanford hypothesized that only one year of his time at Nevada counted against Arciniega, which led to him receiving two more season of eligibility. Arciniega then went to Sierra College in Rocklin, California for 2012 where he recorded 87 tackles, 5.5 sacks, and recovered two fumbles. He was named to the Valley All-Conference First team for his efforts in 2012. In 2013, his first season with the Orange, he played in all 13 games on his way to 18 tackles, 2 tackles-for-loss, one sack, and an interception. In 2014, Arciniega played in 4 games and recorded only 4 tackles and a sack. He missed the final 8 games due to a “lower-body injury,” but nothing more specific was given. Arciniega has played linebacker and is listed at the position on his Syracuse bio, but he will be making his way to defensive end this year.